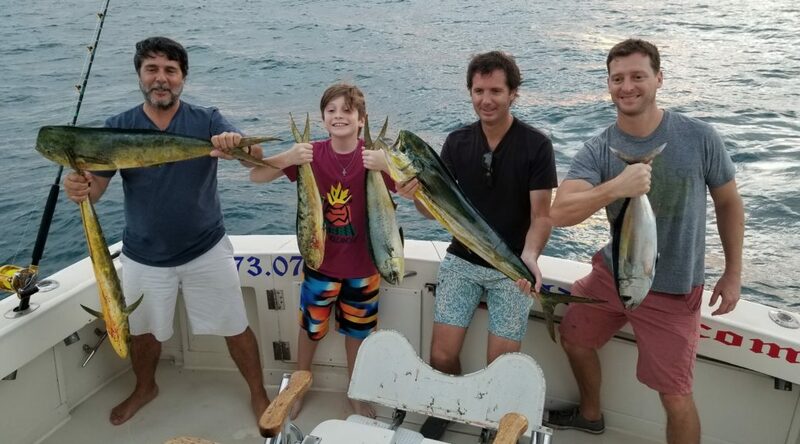 Another beautiful day fishing offshore of Miami Beach with some Mahi, Wahoo and Tuna. 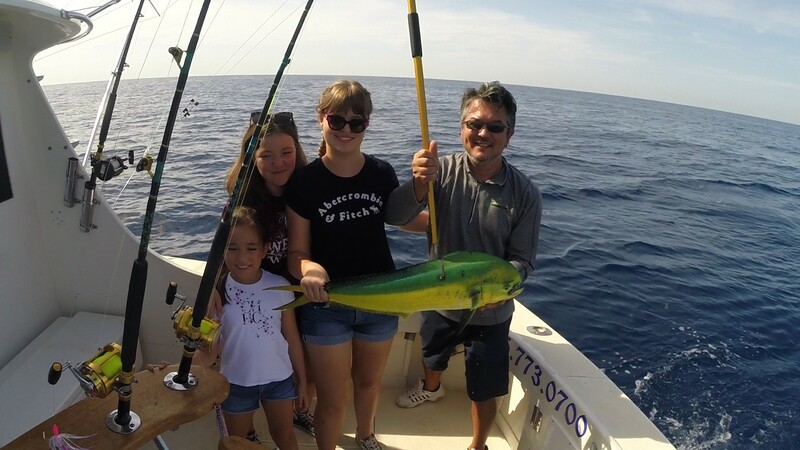 Deepsea fishing is a perfect way to spend time while visiting sunny south Florida. Follow us on Instagram @oldhatfishing to see daily pictures and videos. 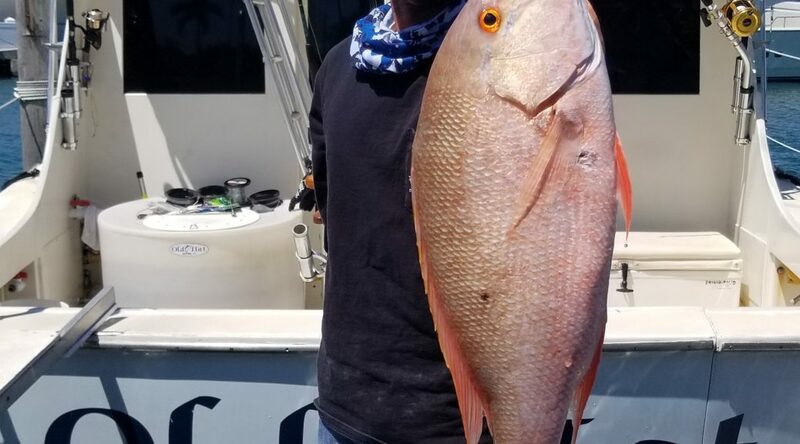 Spring Break fishing off of Miami Beach has been producing some quality fish. 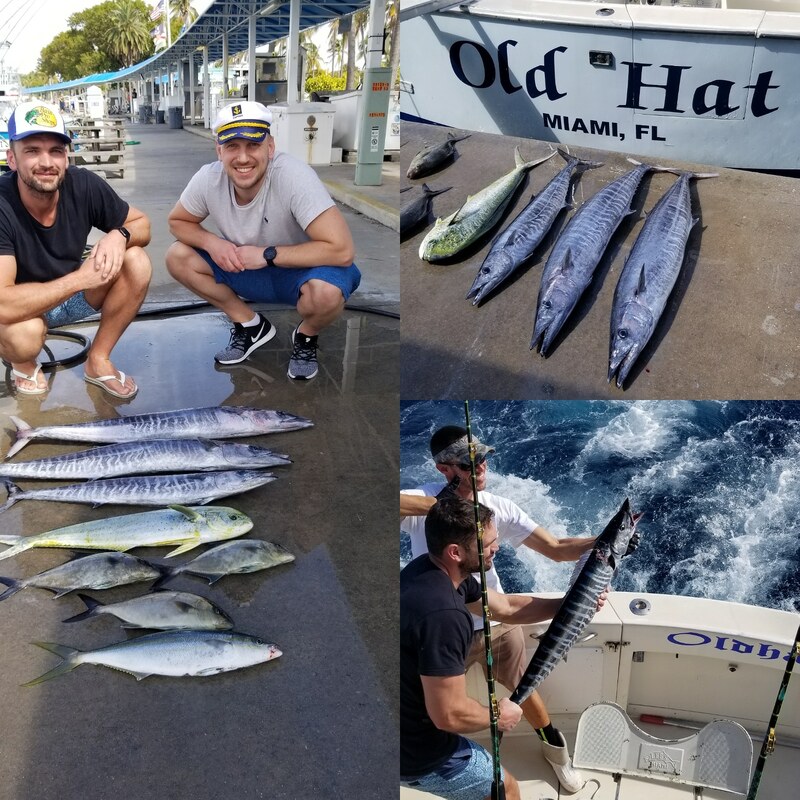 The Wahoo action has been on fire this week in beautiful Miami Beach. 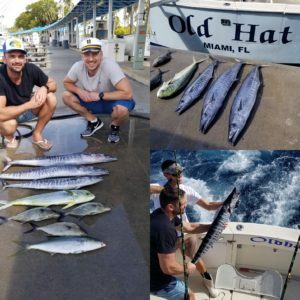 Wahoo are one of the most beautiful fish in our ocean, they are considered trophy game fish and caught while fishing in beautiful Miami Beach along with so many other varieties. Beautiful lit up Wahoo for the holidays!!! 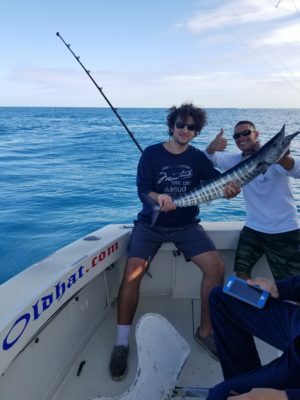 Trolling the reef off of beautiful Miami Beach has been producing very good fishing action this holiday season. 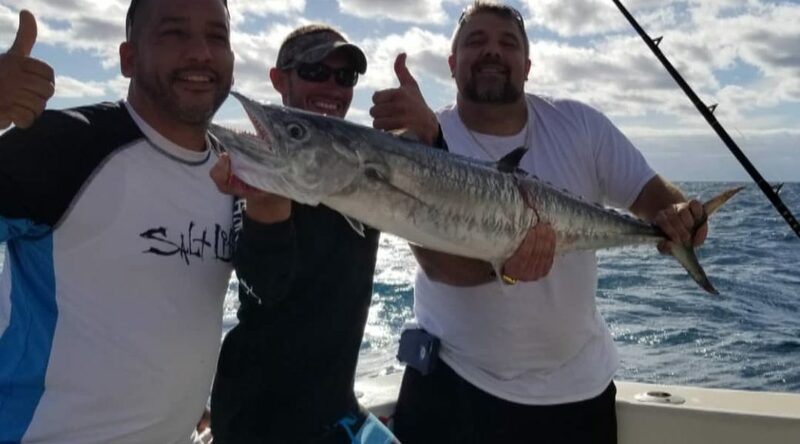 We have been catching Bonitas, Blackfin Tuna, Kingfish, Sailfish, and Wahoo. One of the most prized gamefish that we catch out here are the Wahoo. They are know for their speed, beautiful lit up colors and razor sharp teeth. They are one of the top predators in our ocean racing around cutting and chopping baitfish with their razor sharp teeth to get a quick meal. They are one of the hardest fighting fish and always extremely fun to catch. Charter fishing off the coast of Miami Beach in December has been very good. 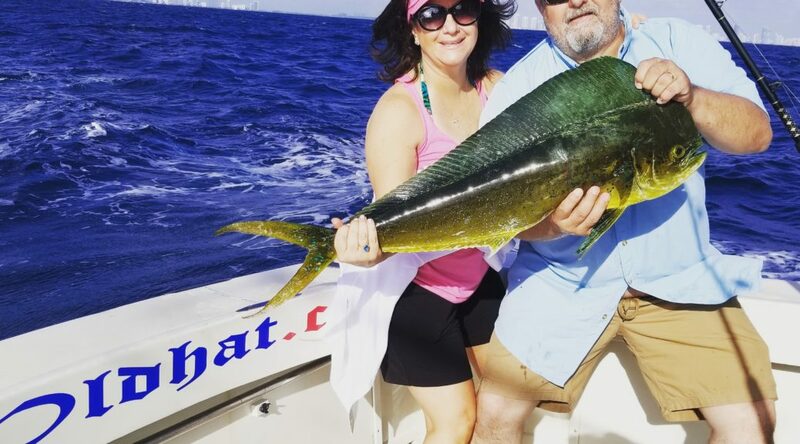 Fishing on the reef has been producing nice size Mahi (dolphin) making customers extremely happy during this holiday season. Mahi and Tuna moving in on the reef. Another beautiful afternoon in sunny Miami Beach. We headed to the reef to start trolling for Kingfish, Tuna, Wahoo, Sailfish. A couple minutes went by after the spread was out and a nice bull Mahi came up and devoured our long outrigger bait. Twenty minutes later we put the fish in the boat, definitely a battle this family will never forget. After trolling the reef for the rest of the trip we managed to catch couple more Mahi and a nice Blackfin Tuna. 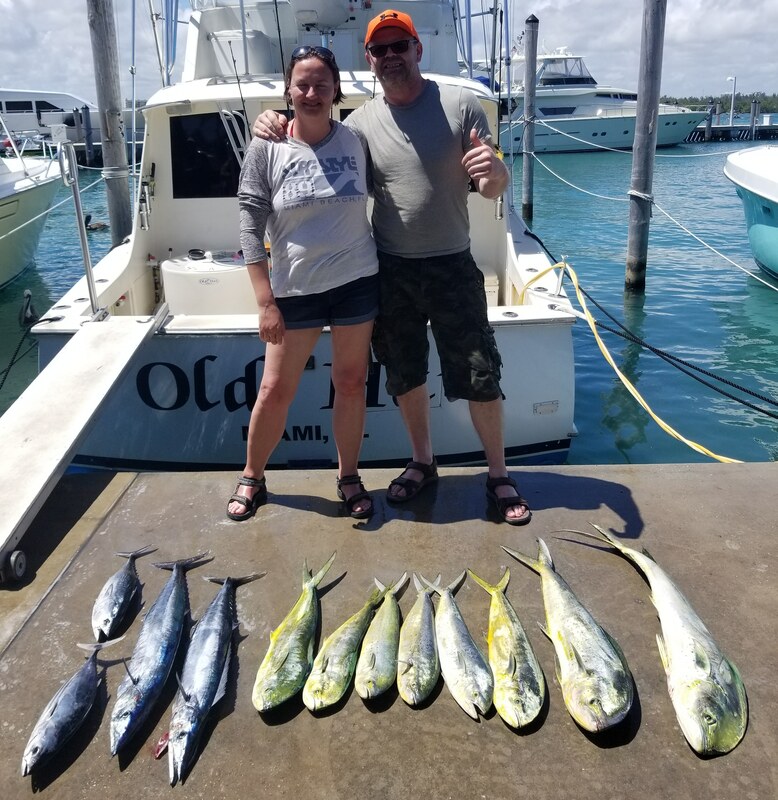 It was a steady productive afternoon and another group of happy customers fishing aboard Old Hat. Trolling offshore has been producing some nice Dolphin(mahi).